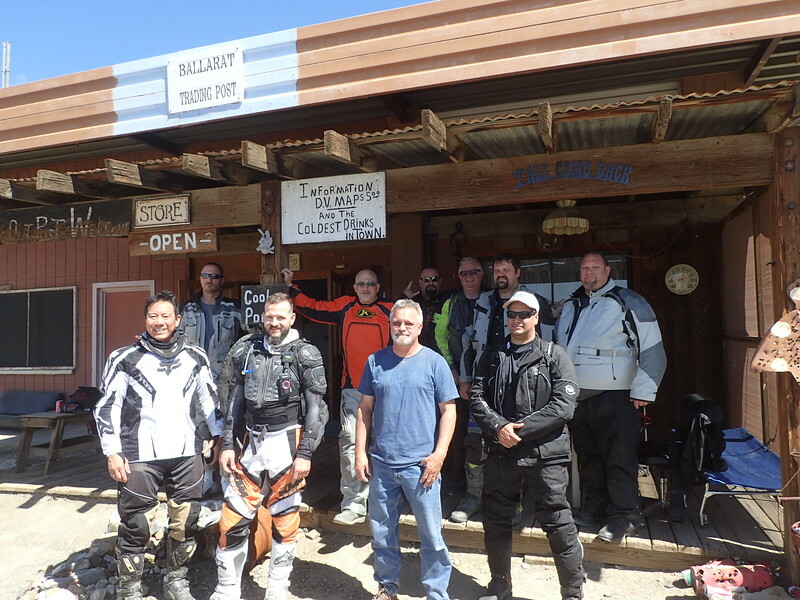 Discussion in 'Ride Reports - Day Trippin'' started by isaac004, Mar 22, 2015. Now that the dust has settled, get those photos and stories up before your memory settles as well! A great time was had by all. 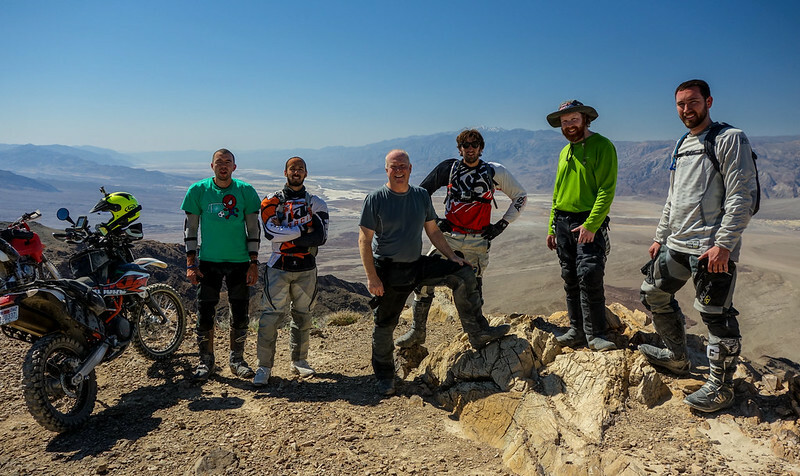 We all saw old friends, made new friends, rode great dirt roads, inhaled the best desert dust, broke parts, learned new skills, and kept the nOOb spirit alive! These are going to be both a very short and very long two days. thanks to all the participants, volunteers, sponsors and Panamint Springs Resort. can't do it without you. about 230 -240 participants happily rode, camp, ate, drink and sleep; this went on for 3 days! 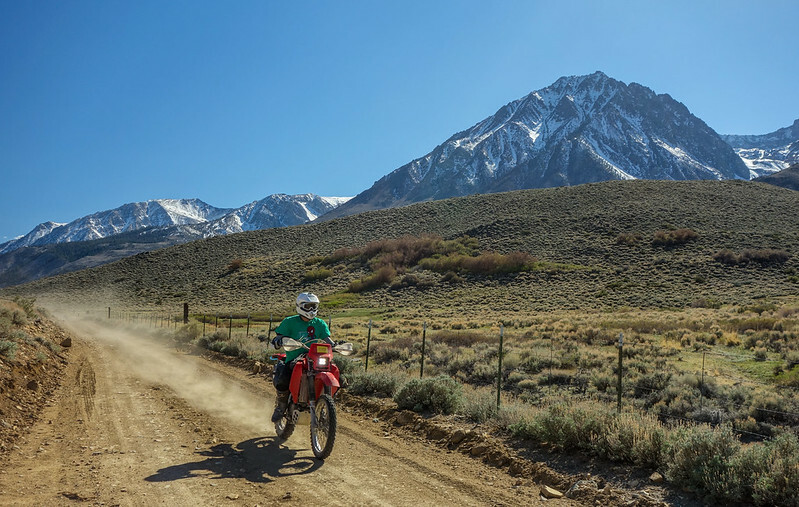 fun time in the california desert. 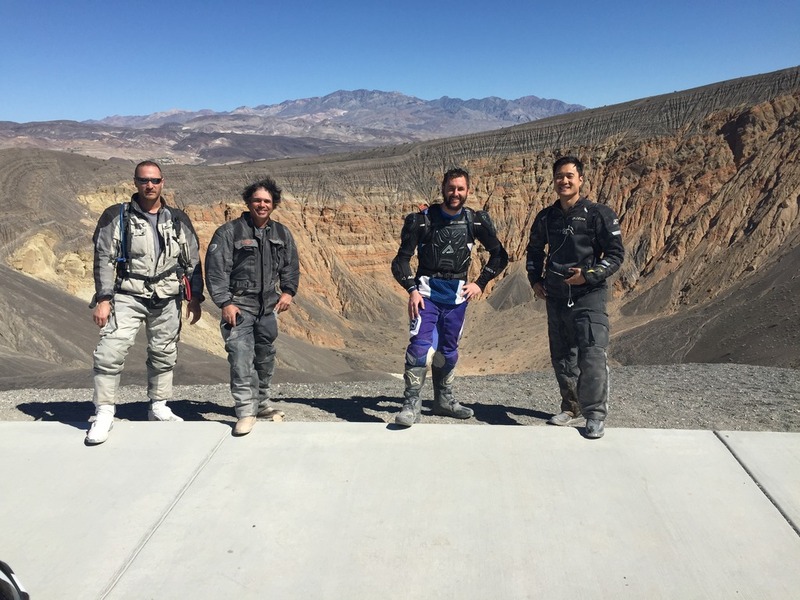 3 world travelers presented their adventure to aspiring riders. really cool to have them! and the finale....the saturday night raffle was a blast! hoping our donations to these group, though not a lot will provide them some funding to continue fighting for our cause. i also put aside $$ for the Angeles National Forest ADV Volunteers. i will continue to sell the 2015 DVNR tees until they're gone. your $ will buy lunch for the volunteers. Sasquatch2112 Old, slow, fat guy just riding around. Did I mention Esparza Family Restaurant in of all places Trona CA! Some of the best burritos/ food around. Here now loading up for the night at Minnieta Cabin. Leaving tomorrow am from ely. PSR said they would find a place for me to pitch a tent tomorrow night. 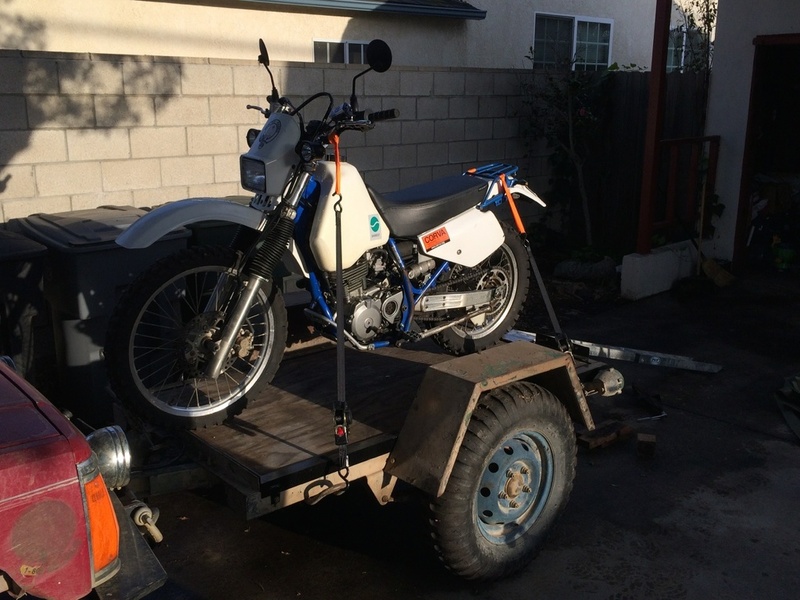 just made street legal not sure of range, looking for riding buddies, carriyng two gallon rotopax as well. Packed and ready. Wed. 6am departure for me. Can't wait. 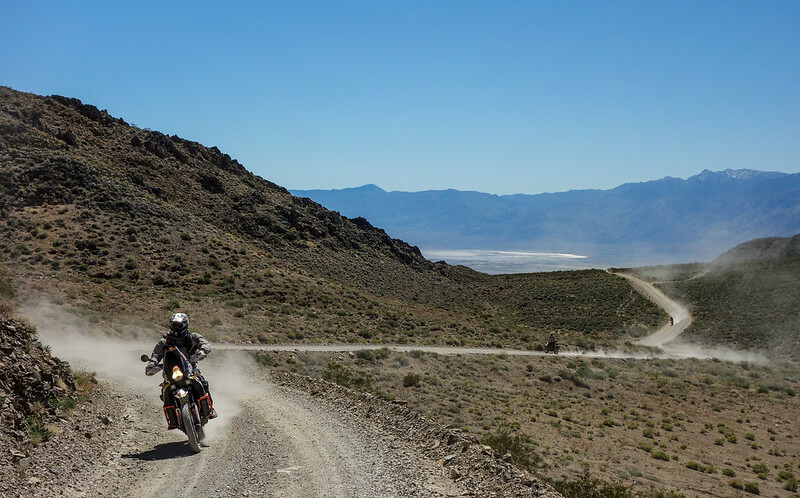 New front and rear tires spooned on the KLR successfully, ready to head out of LA late Thursday evening heading east, goal is PSR but may just throw up tent around Red Rock area. Definitely be at PSR Friday morning though! Was all set to.roll only to.find a puddle.of oil under bike turned out the countershaft o ring gave up. Put in replacement tonjgh if no oil all.good otherwise will have to bring the beast instead. Leaving in a few. Catch you guys for dinner. monitor pass is closed. the road is free of snow and dry as a bone though if your someone who ignores signs you can ride around both gates . Leaving San Clemente at 6 am. Much thanks to Shunka for muleing my gear and little bike! Took a pic but it's just to much trouble to upload pics on this site. If you see me on the road, you'll know it's me. The Vance's are on their way!